Arada, the developer of the mega mixed-use Aljada project in Sharjah, UAE, has awarded the first construction contract for the project. 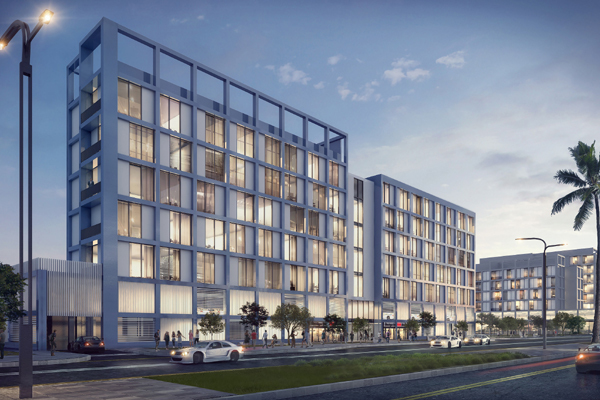 The developer handed the main construction contract for the first four Areej Apartments blocks, based within Phase One of Aljada, to Modern Building Contracting Company (MBCC), a major contractor that has worked on sites throughout the UAE and Saudi Arabia. Mobilisation will take place onsite in the coming weeks, with full construction set to commence by the end of July. In total, over 250 units will be built across the four Areej Apartments blocks. The buildings, which contain the first homes to be built within the 24-million-sq-ft project, are scheduled to be completed by the end of 2019. Also in April, Arada signed a management agreement with Emaar Hospitality Group to bring three new hotels -- Address Aljada Sharjah, Vida Aljada Sharjah and Rove Aljada to the megaproject. Launched in September 2017 by His Highness Sheikh Dr Sultan bin Muhammad Al Qasimi, Supreme Council Member and Ruler of Sharjah, Aljada has swiftly become Sharjah’s fastest-selling residential community. To be delivered in phases starting in 2019, the entire project is expected to be completed by 2025.